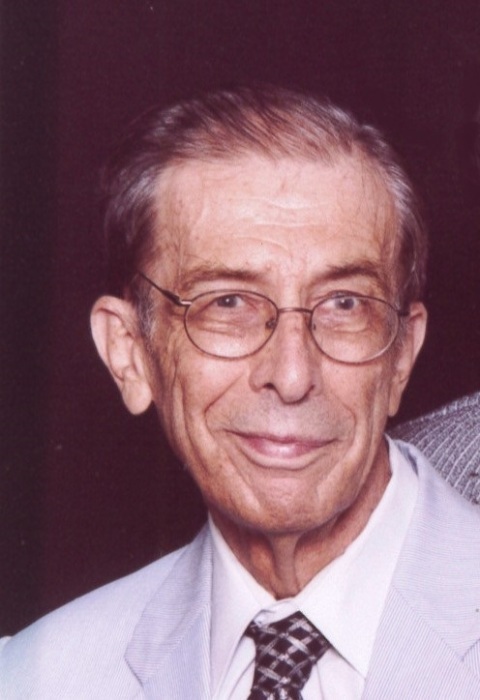 Herman G. Kuppler, 91, passed away peacefully on April 1, 2019, at Salida Woods Assisted Living, where he resided since 2016. Born on October 14, 1927, in Tubingen, Germany, Herman was the only child of Herman and Sophie Kuppler. At the age of three, he and his parents immigrated to America and settled in Erie, PA.
Herman attended Gannon College and Penn State University obtaining a degree in chemical engineering in 1950. His successful career included 13 years at Rayon (Painesville) in Quality Control and 21 years at Avery/Dennison where he initially worked in Quality Control before assuming the position of Director of Worldwide Purchases. A lifelong, active member of Zion Lutheran Church, Herman is survived by his beloved wife of 66 years, Audrey, three sons, Keith (Karen), Karl (Sylvia), and Kurt (Angie), eleven grandchildren, and two great-grandchildren. During his long retirement, Herman continued his avid following of the Penn State University athletic programs. He enjoyed spending time outdoors, taking long walks with his wife and feeding birds and squirrels. He also proudly built three grandfather clocks, one for each son and their family to enjoy. Herman’s wish was that all his family and friends would remember to know their Master, hug their family members, smile at a stranger, and whistle a happy tune, making the most of what is truly important in life. Calling hours will be from 6-7 PM on Friday, April 5, at Spear-Mulqueeny Funeral Home, 667 Mentor Ave, Painesville, and also from 10-11 AM on Saturday, April 6, at Zion Lutheran Church, 508 Mentor Ave in Painesville, followed by a funeral service at 11 AM. Christian burial will be at Perry Cemetery. The family wishes to acknowledge and thank Hospice of the Western Reserve and especially Stacey for the excellent, compassionate care, provided to Herman. In lieu of flowers, memorial donations may be made to Our Shepherd Lutheran School, 508 Mentor Ave, Painesville.